The PietraArt Bliss line is a stunning blend of high quality natural stone in Travertine, Granite and Marble, combined with a modern selection of our most popular glass colors as well as stainless steel. This fusion of stone and glass is one of the hottest trends in interior design at the moment. Building on that, we have taken this a step further by introducing our line in two unique mosaic sizes. Taking cues from high-end residential and hospitality design we have created blends that lend themselves to all preferences of style with combinations working perfectly in porcelain, ceramic, natural stone and even wood. 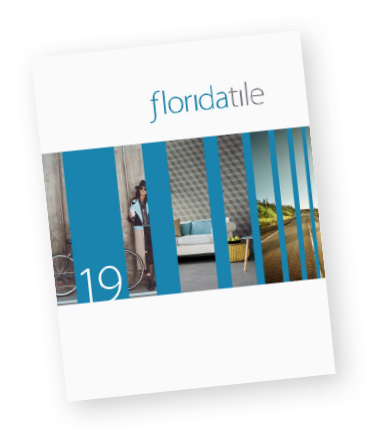 The experience of decorating with Florida Tile is truly Bliss! Due to the nature of the stone, PietraArt Bliss has shiny and dull areas as part of the surface. Please take this into consideration at the time of purchase.